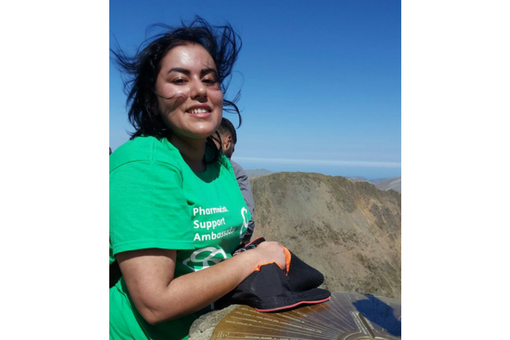 Our PS Ambassador Faiza hit the hills in May this year – well Snowdon, the highest mountain in Wales to be precise! All for a good cause of course. Congratulations on completing your epic climb up Snowdon! How did you feel when you reached the end? Thank you. I felt an immense sense of achievement as I managed to push myself to do something that I never thought I was capable of doing. Unfortunately I was so exhausted that I was not able to make the most of my time at the top. What did you do to prepare for the walk? I decided to get myself back into walking, although not to the extreme lengths that Snowdon involves. As well as this, I focused on doing high-energy fitness classes at the gym to build my stamina. Why did you decide to do this walk in aid of Pharmacist Support? I have done this walk in aid of PS because I wanted to use this opportunity to raise awareness. I chose a fundraising idea which would push me to my limits. As each donation would come onto the JustGiving page this further motivated me to complete the climb. It is great to be able to give back to your profession. Anyone can require support at any time, therefore it is great that there are wonderful people who do genuinely care about your wellbeing. Because it is the best thing to do! It is so rewarding and is a wonderful way to promote the work that the charity does. What would you like to say to everyone who sponsored you? I would like to say a huge thank you for helping PS. They require ongoing support to continue providing the amazing services that they do. I had a great time preparing for and undertaking the climb. I am pleased that we will be able to help PS continue providing their evidently excellent support via their extensive range of services.